In this chapter, we'd like to show you how we use them. On your first day here, you're going to set up your G Suite, Slack and Okta accounts, which means you'll win some time by reading this chapter before. You will receive an email in your personal inbox. 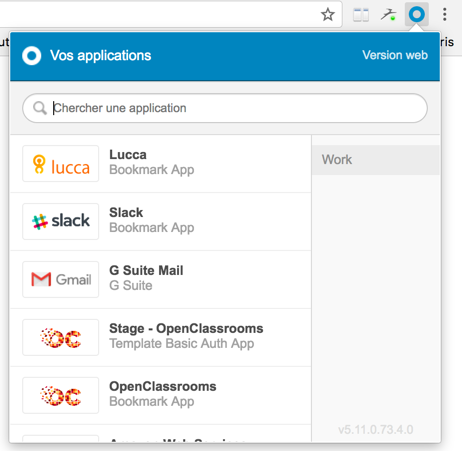 This email will invite you to create an Okta account for OpenClassrooms. Click on the link. Create your Okta account. You'll be asked to create a new password. Choose it wisely, it shouldn't be a password that you've already used elsewhere (more information later on this). This is the only password that you'll have to remember at OpenClassrooms. You'll also have to create a secret question and to upload an image, to prevent some attacks. You'll be asked to activate 2-factor authentication on Okta by using an app on your smartphone (called Okta Verify). Follow the instructions. You're good to go. You can now connect to GMail, Slack, Dropbox and other services using the Okta interface.. You can now connect to GMail, Slack, Dropbox and other services using the Okta interface. NEVER EVER reuse a password that you've used in the past on another website (even a portion of it!). It's a major mistake, because it's highly probable today that this password has been hacked. If that's the case, a hacker could enter your Okta account and compromise the company's security. One of your previous passwords has already probably been hacked. You can check if your password is hacked on Have I Been Pwned by entering your personal email. You're probably already familiar with tools like GMail, Google Calendar and Google Drive. Good news! We use them a lot. If you don't know these tools, you should learn to use them before you come. We'll assist you if you need some help of course, but we don't teach how to use Google Calendar from scratch for instance. 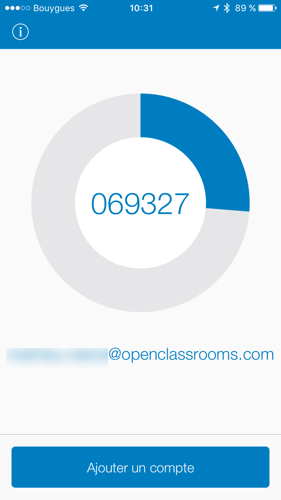 You'll get a GMail address which looks like this: firstname.lastname@openclassrooms.com. You will connect to GMail using Okta. You don't need to set up a password for GMail. Okta is an identity manager. We use it to list all the applications we use and to help you connect to them. It can also remember passwords when they are needed. Every person in the company uses Okta to connect to other applications (GMail, Dropbox, Office...). Think of it as a secure vault, protected by a master password. The master password unlocks access to other websites. Your master password is very important. It should be long enough, have upper and lowercase letters, numbers and special characters (like ? !§% etc). There's an easy trick to make and remember a long and strong password. Just pick a few random words and add uppercase letters, numbers and special characters like "?#%". Take the time to choose your master password wisely. If you forget it, you won't be able to access any of your passwords! Okta will ask you to activate a second-factor of authentication. You have to install the Okta Verify application on your smartphone. Here are the install links for iPhone and Android. You'll have to scan a QR Code with the app to link it to your smartphone. The app will then generate 6-digit codes that nobody can guess (unless they steal your smartphone!). The code changes every minute (in case you're a bit slow copying it 😝 ). You can click on it to look for applications you want to connect to. There's a search bar at the top. Simply click on the service you want to connect to and... voilà! Of course, none of this matters if you leave your computer open without surveillance. People could easily access your data while you're away from your computer. Which leads us to rule #1 of computer security: never leave your computer open while you're not in front of it. 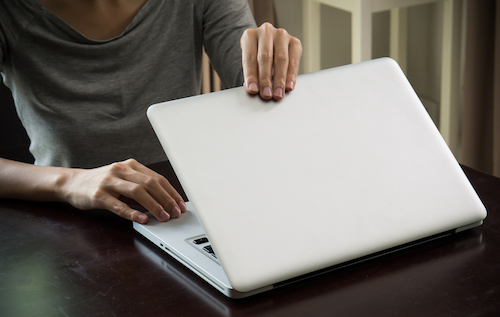 Always close the lid of your laptop, even if you're "just going away for 1 minute to grab a coffee". Slack is now a famous collaboration tool that many companies use to chat (especially startups). It's a great addition to e-mails. In fact, it helps us greatly to reduce internal e-mail overload. 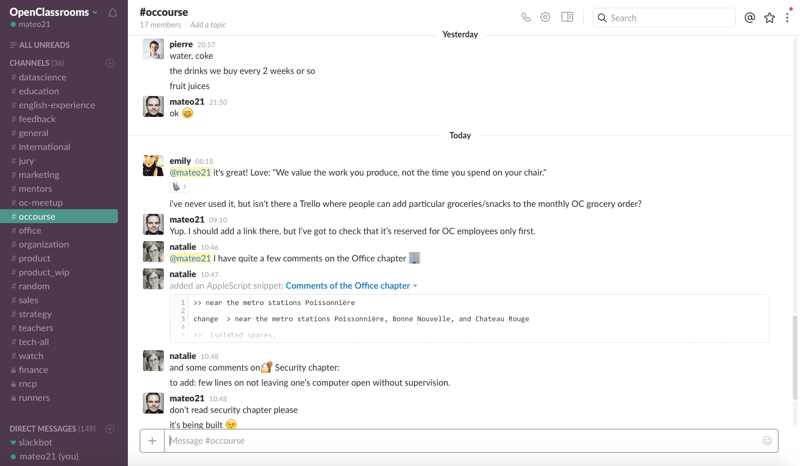 You can connect to Slack using the Okta interface. A lot of information is shared on Slack! Some people leave it open all day long, but if you want to be quiet you can close it of course. Just make sure to check it out at least once a day. 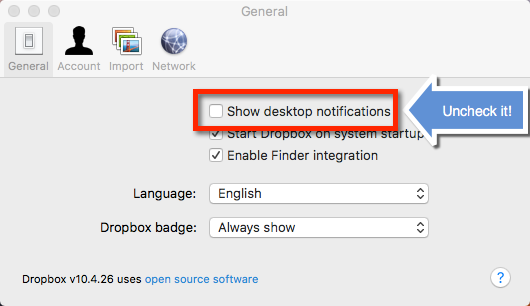 We highly recommend going to the Preferences menu > Notifications > Notifications Settings, and selecting "Send notifications for nothing" + "Mute all sounds" as it will reduce interruptions a lot. On Slack, you can chat with other people in channels. There's a channel for everything: for teams (#sales), for projects (#english-experience), for company-wide topics (#international)... You can also chat in private with coworkers. This is really handy if you're working remotely! #education: to talk about education, paths and courses to be published with the Education Team. Like every team channel, it's open to everyone. #feedback: our customer support team and cofounder Pierre will paste here the most interesting feedback our users have sent us (good and bad). It's a good way to keep connected to our users! #general: main channel, where you can talk about anything as long as it's work related. #marketing: to talk about marketing actions with the Marketing Team. #mentors: where we meet with our network of mentors. They have all been invited to this channel (and this channel only) so we can talk easily with them, keep connected and aligned together. #office: where we talk about our physical office. #organization: where we talk about how we work together. Many big ideas like peer feedback have been discussed here. It's a space to analyze what's working and what has to be enhanced. #pictures: where people share pictures of important moments together. Feel free to add yours! #product: everytime we make a significant update to our product, you'll see an update here. Be the first to know what's changing on the website! #product_wip: same as #product, but you'll get a chance to see a feature being developed. Usually, this is where the tech team asks for feedback before publishing the feature. #sales: to talk about the sales strategy with our Sales Team and get weekly sales updates. #strategy: where we talk about our overall strategy. Big ideas are being developed there, and everyone can participate! #tech-all: to talk about tech stuff with the Tech Team. Lots of geeky stuff in there. You'll see that we use Emojis a lot, to such an extent that we needed to add custom Emojis to express some specific feelings. "Yeah, I'll do it! ", "Bastien will do it"
This is one of our developers avatars: Bastien "Baba". "Pfff, don't wanna do it", "Oh no, no more work!" Extracted from a video of our developer Bastien "Baba" exhausted at the end of the Paris marathon. Master Capello, ferocious defender of the French language. You'll usually see him if you've made a grammar mistake. Whenever we're hungry, and whenever someone has brought chouquettes in the kitchen, we react with this one. You're sad, or lost in some deep thoughts about the meaning of life. Taken from a rare picture of Christophe feeling blue (he's usually quite the contrary). "Yay, OC is the best", "OC rocks!" Whenever we have some good news to be proud about. Whenever someone got the OC Trophy by doing an amazing work lately. "Romain will handle it", "Romain is in the place"
Romain likes to tell everyone when he's proud of something he's done, which is why he finally got his own Superman emoji. "THIS IS UNACCEPTABLE", "I DISAGREE", "NOT HAPPY"
Taken from a famous Red Orangina Commercial ("Why is he so mean? "), a friendly nod to one of our developers who often complains. "Big brother is watching you", "Spies, spies everywhere", "Don't believe what they tell you, everything is a lie!" Illuminati reaction to the growing number of people adept in conspiracy theories. Named after one person who likes to joke about conspiracy theories here. We use Dropbox to share files together. Not everyone at OpenClassrooms needs it (for instance, the tech team doesn't work with it) but a lot of people find it very useful. If your team uses Dropbox, we'll create an account for you. You can access it using Okta. Some folders and files will automatically have been shared with you. You've got nothing to do! There's just one configuration step that you should do: deactivate notifications. They can become really annoying because they will show up every time someone updates a file. 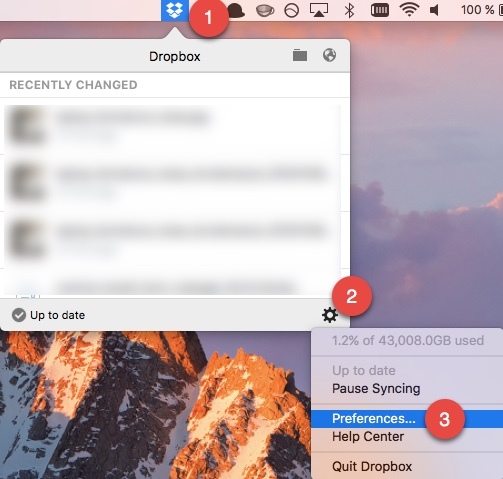 Just go to the Dropbox Icon, Preference Icon, and click Preferences. ... and uncheck "Show desktop notifications"
Our Office 365 subscription allows us to use the latest versions of Word, Excel and Powerpoint (there are other tools but we don't really use them). Not everyone in the company needs Office 365. 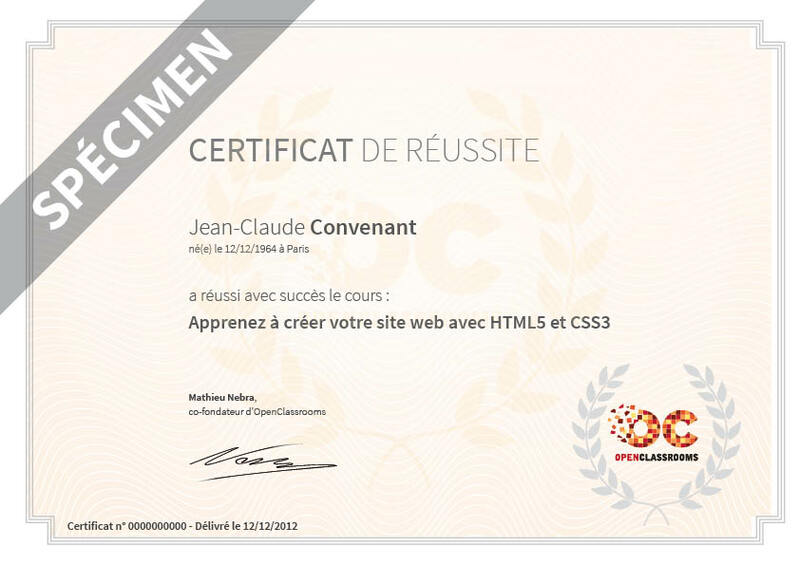 This is why you should ask for a license if you need one: just go to Pierre, Mathieu or Benjamin to get one. You'll receive an email in which there will be a link to activate your account. You can log in Office 365 using Okta. Here you'll have a link to download the Office suite to your computer (1) which is what we recommend you to do. You can also use the browser-based version of these software applications (2): while not as efficient as the desktop versions, you might find them useful. 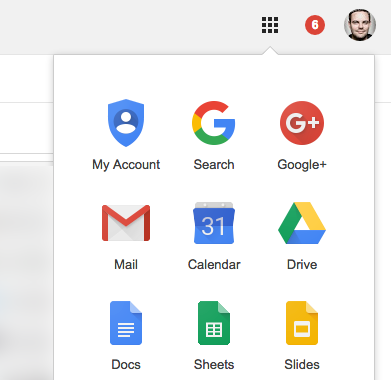 In the company, we tend to use desktop based versions of Office, and G Suite (Google Apps) for easier document sharing on the cloud.